​Alison is a long term resident of the Fraser Coast. ​ She is a mum to 2 beautiful teenagers, one of whom is studying at university in Brisbane. 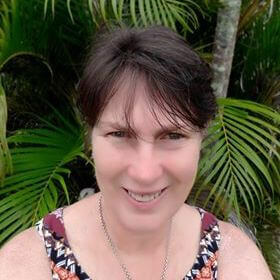 ​She has ​over 35 years experience working with children at Qld Health. She first became acquainted with Kinesiology as a client at Breathe Easy Therapies. ​​She was so thrilled with her progress from ​sessions with Susan, she knew she had to study Kinesiology. ​Here I am now, a Diploma qualified practitioner... and absolutely loving it! ​Her caring, and gentle nature, soon puts her clients at ease. ​A unique Kinesiology experience, which incorporates her passions for doTERRA Essential Oils, Crystals, and card reading (using The Modern Oracle Card Deck). ​Aromatouch Technique (using doTERRA Essential Oils) ~ great for an all round relaxing, healing experience! Want to book an appointment with Alison?